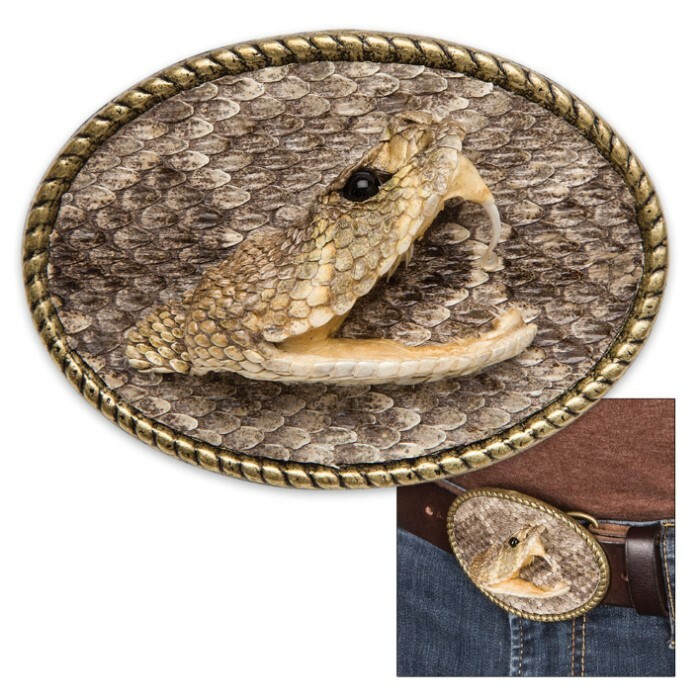 Our Genuine Rattlesnake Head Belt Buckle is a high-quality, handcrafted fashion accessory made from genuine rattle snake skin and brass-toned metal. 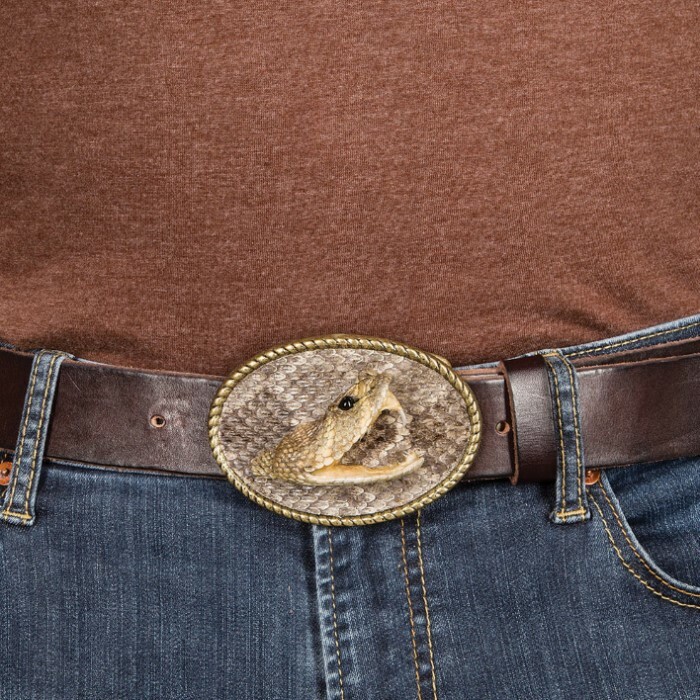 Handmade in the USA, it is as individually unique as the creature it was made from. 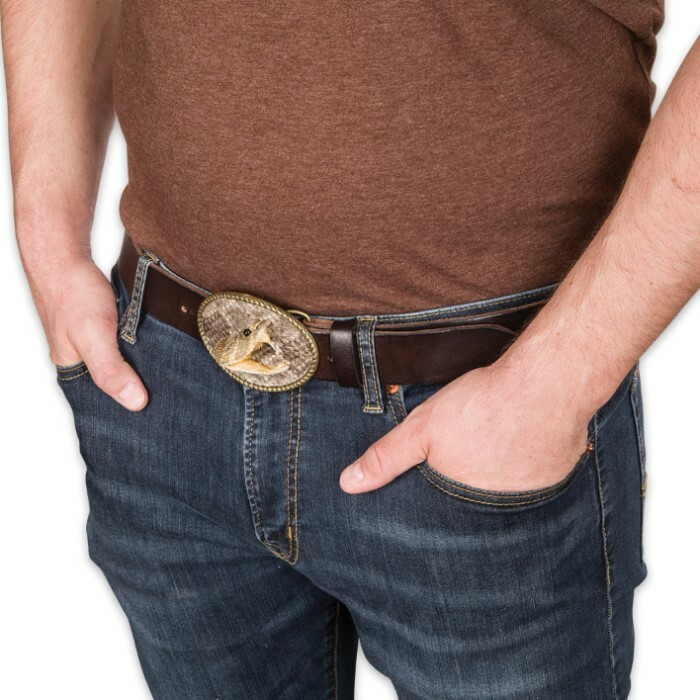 It features a real rattle snake head in profile with one sharp fang showing.